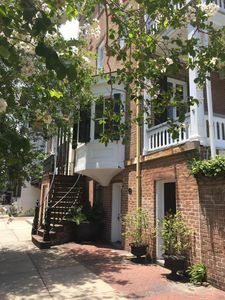 This Greek Revival-style, 4-story brick townhouse is located in Mary Marshal Row and was built in 1851. 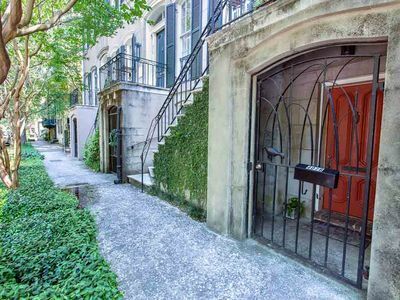 This stately mansion was once the home of renowned Georgia poet Conrad Aiken. 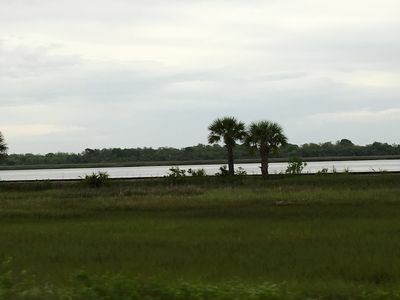 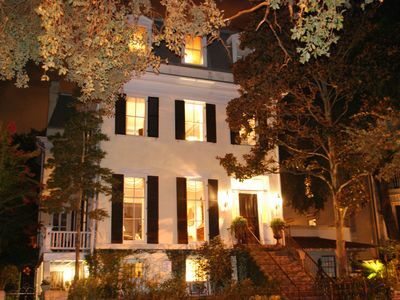 The house overlooks a beautiful tree-lined avenue to Savannah's Historic Colonial Cemetery. 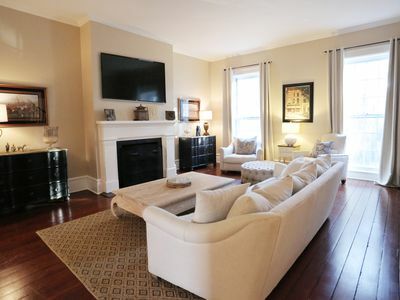 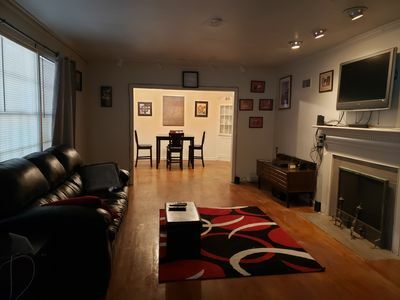 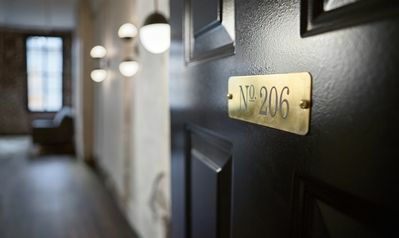 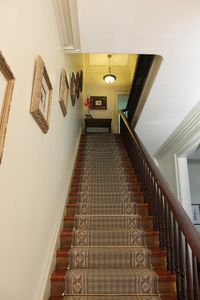 The space is decorated with elegant furnishings and features heart pine floors, 6-fireplaces, TVs in every bedroom, and full bathrooms off of every bedroom. 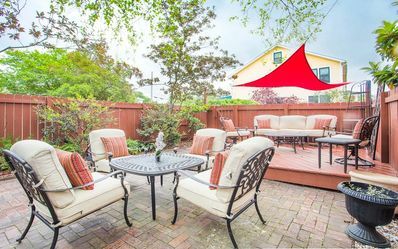 The beautifully landscaped courtyard has a grill and seating for everyone. 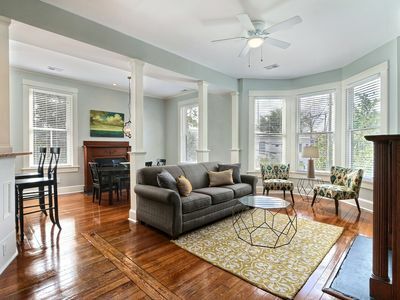 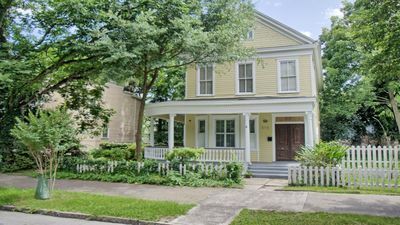 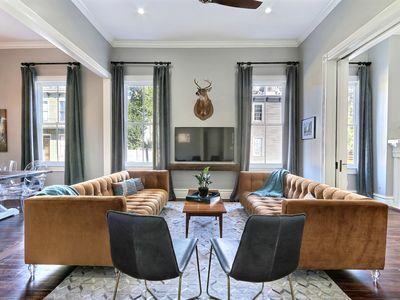 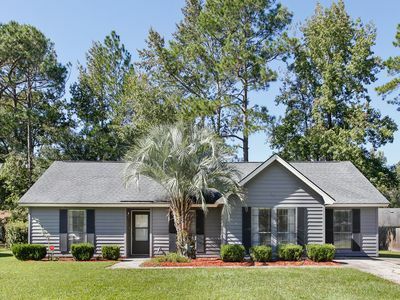 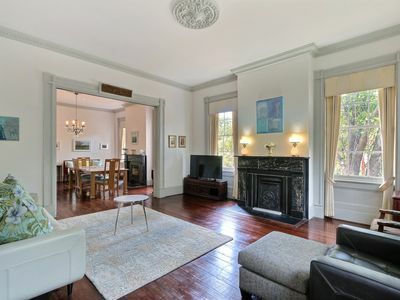 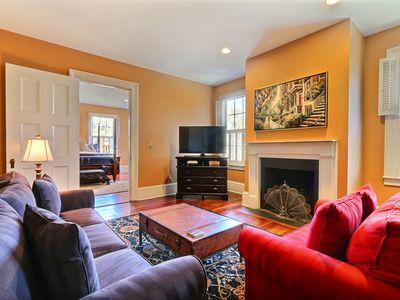 This home will make you feel as if you have stepped right into Savannah's long history of elegance and charm that has always attracted locals and visitors from all over the world. 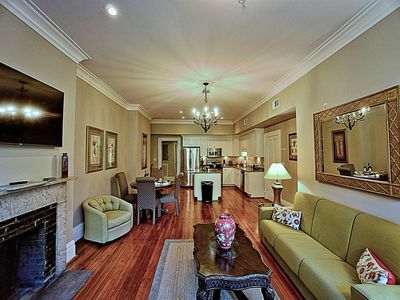 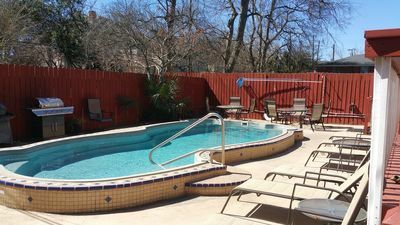 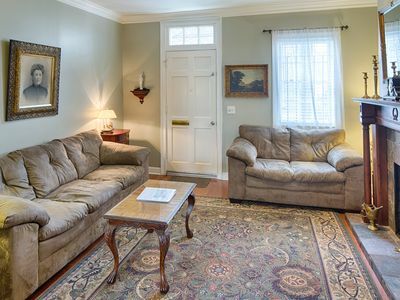 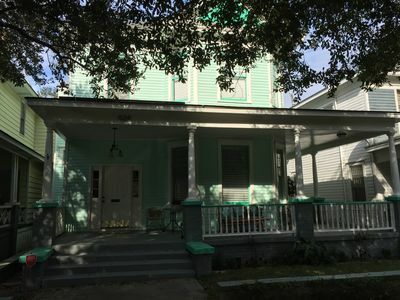 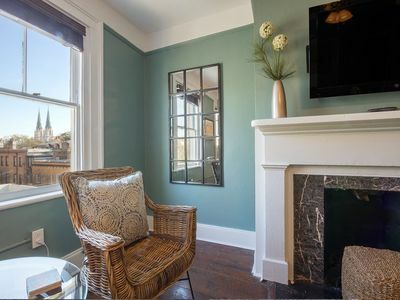 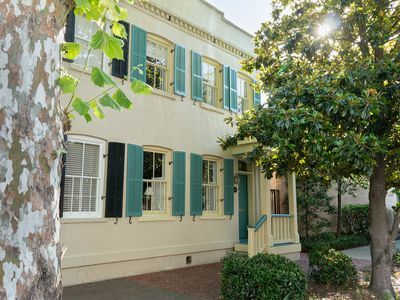 Stay with Lucky Savannah: Serene courtyard on Troup Square; no stairs!